I am always looking for activities to keep my little one busy. Today, I decided to make her an Olympic-themed word find. While I am sure I could have made one entirely on my own, I found a website that would generate one for me. Excellent for when I need to generate an activity in a pinch! The Discovery Education website has a Puzzle Maker. 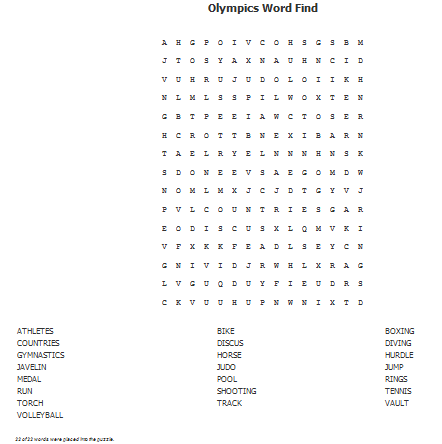 The Puzzle Maker makes it very easy to generate word searches. All you need to do is put in the number of letters you want across and down, if you want words to share letters, the output format you want, and the specific words. Then, hit "Create My Puzzle!" In no time, you will have your search! I am sure I will be going back to this website! That is great! I think this is a resource I am going to use at school. Thanks for sharing the idea!